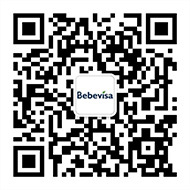 Wuhan Bebevisa Biotech Co., Ltd.
Bebevisa Co., located in Wuhan Optical Valley - Biomedical Park, is a company dedicated to improving human health and at the same time also committed to the earth environmental protection cause of natural environmental protection material company. Our products have absolutely no use of artificial pigment, chemical composition, animal ingredients, or tests on animals! The products using these materials can protect your skin and health, all while being environmentally friendly.